They are problems of mental health which common characteristic is the substantial alteration in the food behavior joined a distortion of the corporal image, managing, in multiple occasions, to put in danger the life of the persons who suffer it. WHAT PERSONS CAN IT AFFECT? Both to women and to men. It thinks that the ages of major risk are between the 12 and 25 years, being the most vulnerable group understood between the 14 and 18 years.HOW DO THESE DISORDERS BEGIN? It is a question of processes that they begin very finely, whose first stages of development are in the habit of happening unnoticed. The persons with TCA share an excessive worry for not putting on weight, still when his weight is normal or enclosed it is below the healthy thing. The food turns into the backbone of his worries disregarding progressively other aspects of his lives. How it differs from anorexia and bulimia? Both disorders differ in the way people behave before meals. It may happen that Unisco same person suffers from both disorders alternately or successively. 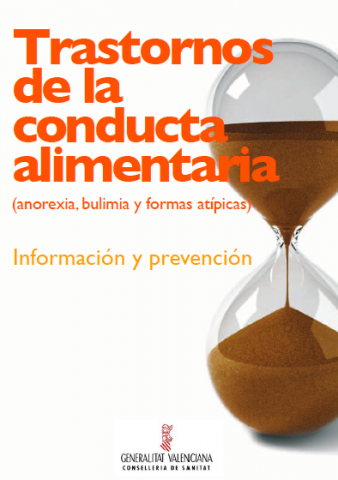 What are the characteristics of anorexia nervosa? It is characterized by an exaggerated fear of gaining weight and a distorted body image, which makes the people who will suffer big see and feel but it is not. This leads them to perform behaviors such as eating less and less, perform strenuous physical exercise with the sole idea of ​​losing weight, vomiting or using laxatives and diuretics in order to lose weight. What are the characteristics of bulimia nervosa? In this case, along with the fear of thickness, there is a feeling of loss of control with food, being characteristic of compulsive fartades. To counter these fartades food often cause vomiting and use laxatives in excess. WHAT ARE THE TAX CONSEQUENCES of anorexia nervosa? In the case of anorexia nervosa appears excessive weight loss that causes repercussions such as the withdrawal of the rule in women, progressive hair loss or dry skin. In later stages may even endanger their lives to malnutrition, heart and circulation problems, severe hormonal imbalances, etc.. WHAT ARE THE TAX CONSEQUENCES of bulimia nervosa? In bulimia nervosa weight may be normal or even low, because the behaviors to counteract the fartades not manage to eat all of that goal. In addition, these behaviors cause great shame, which are usually carried out secretly. Therefore, this disorder is less visible than anorexia nervosa and can stay hidden any longer. But the consequences are less serious, appearing at the beginning of the physical and intellectual fatigue, gastric and esophageal disorders, loss of teeth and, subsequently, muscle cramps, cardiac arrhythmias, vomiting, hemorrhagic etc.. In the case of anorexia bulimia and in the fundamental problem is not food, but the way in which the person perceives himself. Ie IS A PROBLEM WITH MENTAL HEALTH severe physical and psychological TREATMENT AND SHOULD HAVE prevented.